Are you accidentally sending your customers elsewhere? Let’s hope not. Your automatic carwash business is unique. But you can still make mistakes that any business might make—ones that will cost you money and customers. Keep your equipment as up-to-date as possible. You know that the best equipment offers your customers the best clean, and the widest variety of services. However, you may not realize that older equipment may be sapping your money away with higher maintenance or chemical costs. Think about it and see what car wash manufactures are offering these days. There’s the old adage: “Think you can’t afford to advertise? You can’t afford not to advertise.” It’s very true. If you don’t fill ad space with spots for your company, the “other guy” will. Get yourself out there. This can mean old school methods like print, TV and radio ads. But also take a close look at online and social media too. Promotions with Facebook, Twitter, or Foursquare can go a long way. Give them a reason to come back. Consider an online promotion or more traditional loyalty program. Again, a smart play here can really separate you from your competitors. We’re not talking about the physical location of your automatic car wash. Although, that’s always a massive factor. 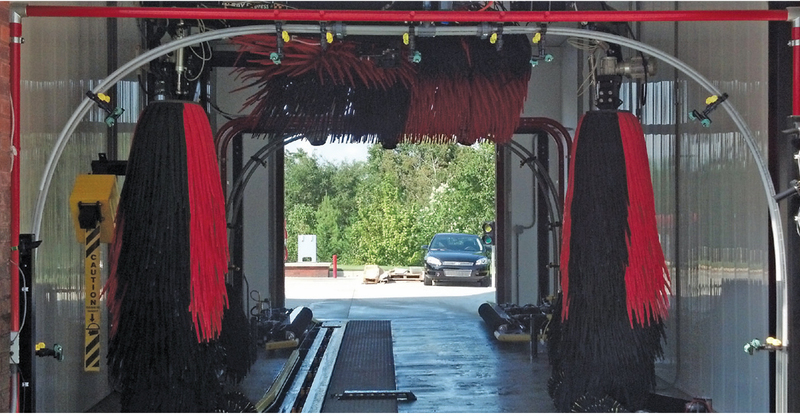 If someone is looking for a carwash and they’re not in your neighborhood, be easy to find. This means making sure you’re in Yellowpages, and other directories. You also need to own your area’s search engine traffic. If someone Googles “Your city+ carwash” you need to be on the front page, or you’re sending them to the other guys. If you have any questions about what we can do to help your business, please contact us.